The Webb House was built around a late 18th century, two-story, log-cabin core (where Polly Burke, the first Governor’s daughter, taught school for decades). In 1800, Thomas Webb built the east and west wings of the house, which remained in the Webb family until late in the 20th century. Extensions were added in the 1830’s. A couple of additions seem to have gone-lost causing no end of confusion for architectural historians but welcome to old houses. It remains that the house has two staircases (none of the upstairs rooms connects with the others), five fireplaces, seven floor-levels, seven outside entrances and, yes, seven gables. In the early 2000’s, the house was completely restored (winning the state’s Preservation Award for the year) and operated as a successful Bed & Breakfast before being privately sold. 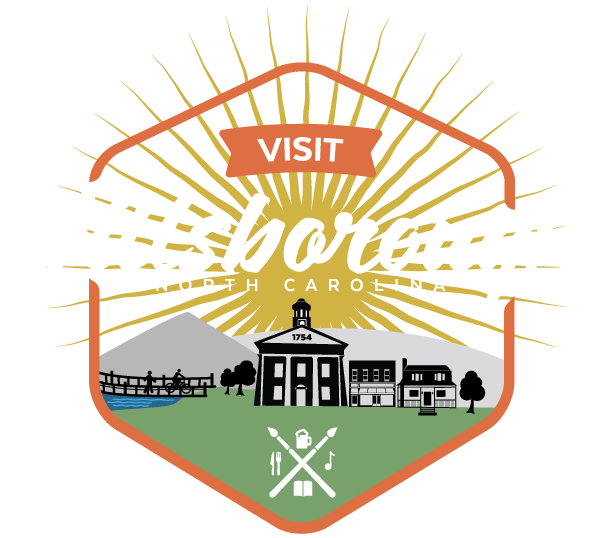 The Webb House sits on a 1-acre property in the middle of Hillsborough’s Historic District, within a very easy walking distance to the main street through town, Churton Street. All available rooms have private entrances from the exterior of the house, complete security (interior & exterior deadbolts, etc), gas fireplaces, en-suite & modern bathrooms, separate thermostats, individual refrigerators, and coffee-makers.